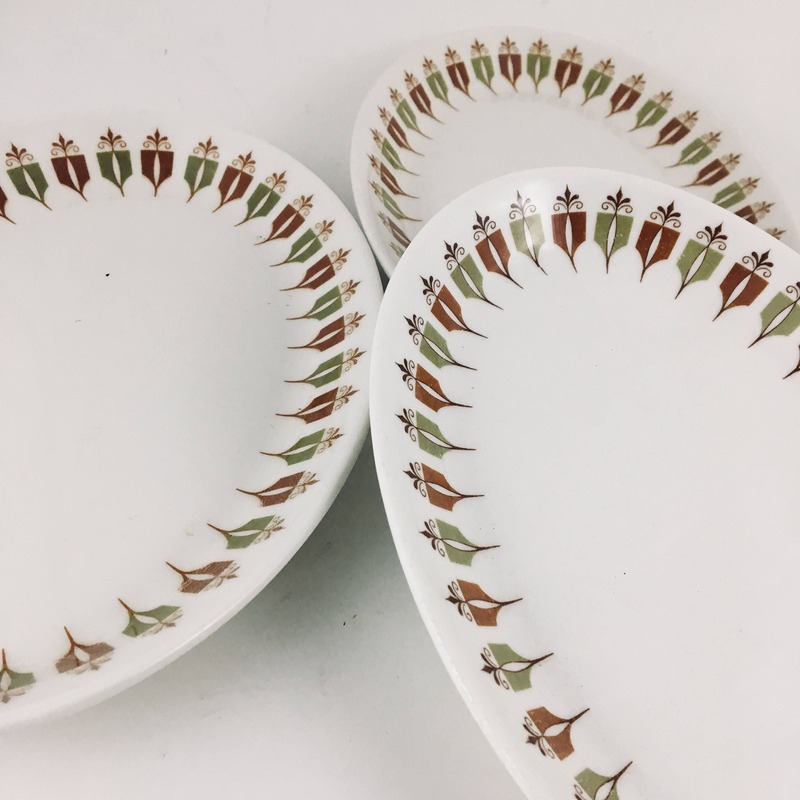 3 oval side dish plates by Syracuse China. 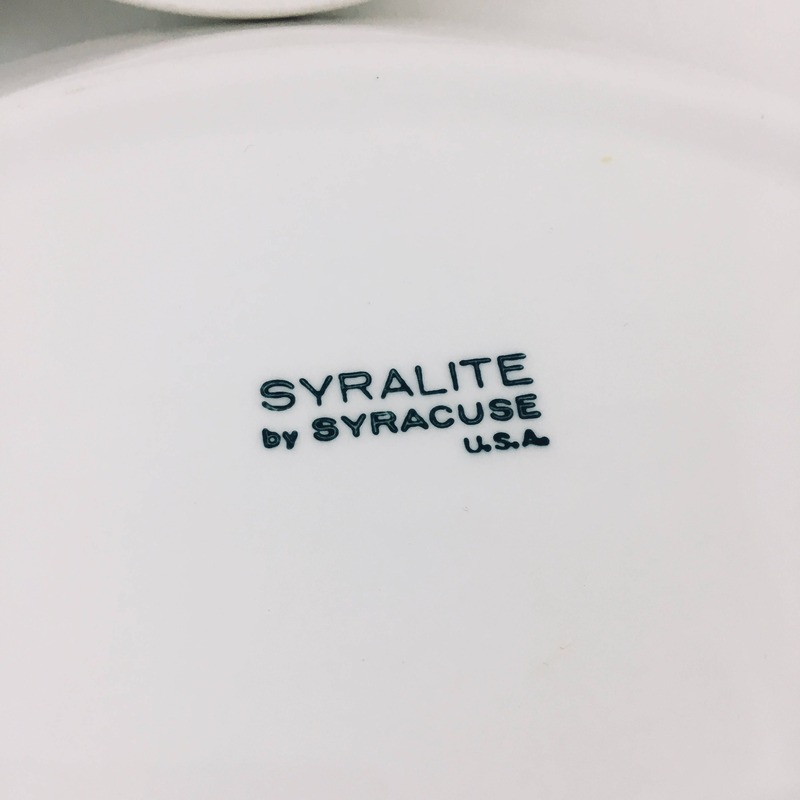 From mid-century Syralite line. 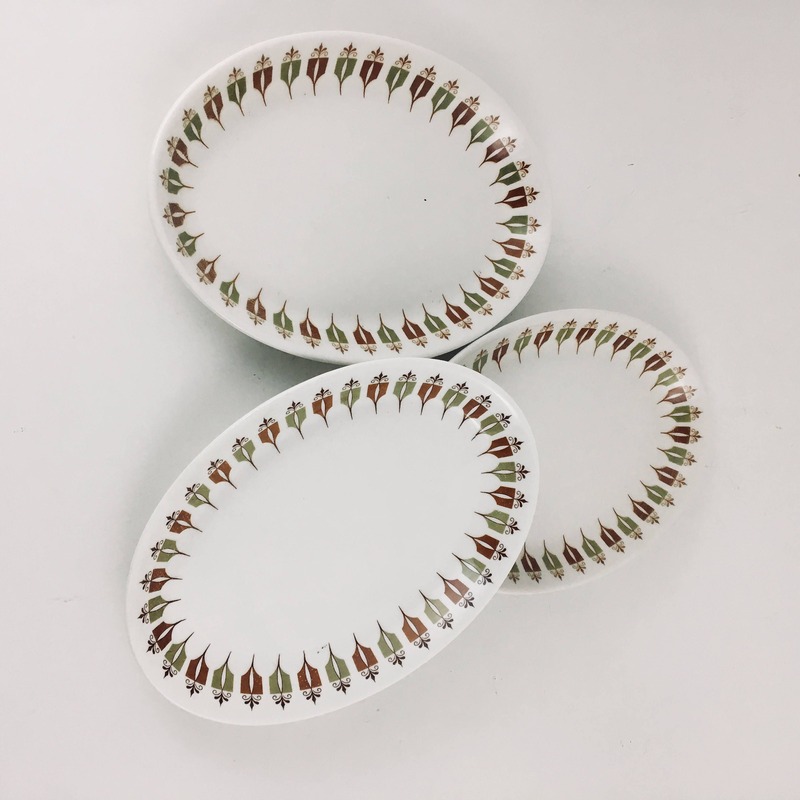 7 3/8” x 5 1/4”. 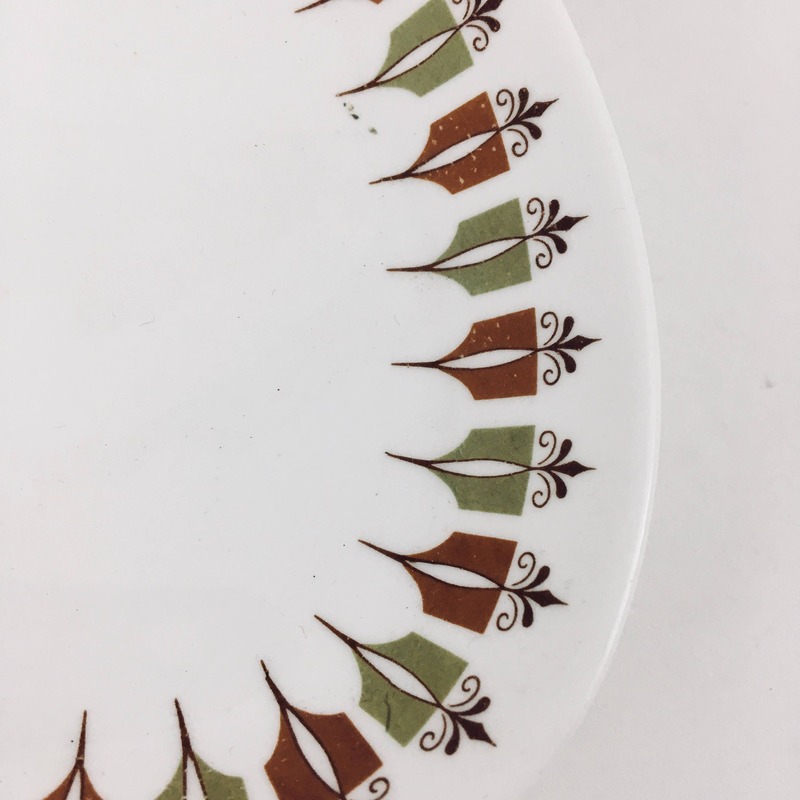 Perky pattern in reddish-brown and green on white. Condition is very good with no chips, cracks or stains.